Many children diagnosed with ADHD, ODD, and other “invisible” learning and emotional impairments are in fact struggling to heal from trauma stemming from their early years. Some adoptive parents have found that attachment therapy can greatly improve the parent-child bond. 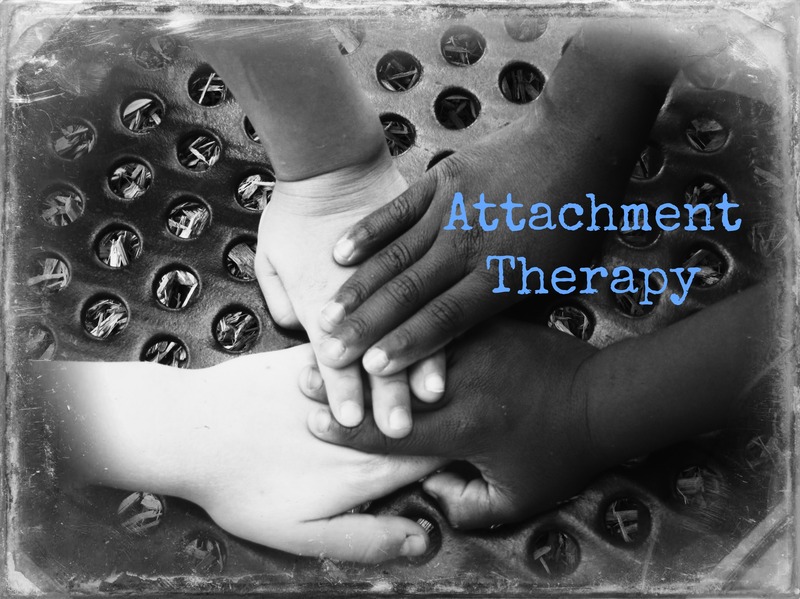 In today’s guest post, Jen Dunlap shares her family’s experience with attachment therapy. If your family has had experience with this type of therapy, what techniques or books did you find most effective? Our decision to enter into attachment therapy wasn’t made lightly. It’s easy to be lulled into thinking things aren’t that bad or that we have all the answers. We ultimately made the decision that we weren’t going to let our pride get in the way of bettering our family. It’s somewhat of a bitter pill to swallow, since we thought we did everything “right” when our children joined our family. Co-sleeping, careful about others holding our children too soon, and I committed to being a stay at home mom with a predictable routine and structure. Therapy has helped me realize that it wasn’t really about us and what we did, but simply about the trauma that happened to our children before they came into our family. Even though we have only been going to therapy for a few months, and it’s definitely not a quick fix, we have noticed changes. We have a better understanding of the trauma our children have experienced and how that trauma really does affect the make-up of the brain. It has given us more empathy as parents, which is crucial in those moments when you need to remain calm yet you really just want to pull out your hair. The therapist has given us some interesting insight to our children and some of their “quirks”. Of course, no one knows our children better than us, but a therapist has a different perspective and often a more experienced, educated and objective view. All of our children really like our therapist and enjoy spending time with her, but they don’t all like the actual therapy session. Our oldest in particular is a bit resistant. Our therapist likes to tell him “therapy isn’t for sissies” and she’s right. It’s hard and quite frankly, he would prefer to keep all the uncomfortable feelings deep inside and not deal with them. I can’t say that I blame him. That being said, we’re hoping and praying that getting through the tough things now will only benefit and strengthen each individual but the entire family throughout our lives. Jen is a wife to one amazing husband and mom to six energetic kids. Visit Forever, For Always, No Matter What where she blogs about their Catholic faith, homeschooling and adoption. This entry was posted in Adoption, attachment, Foster-Adoption, Uncategorized and tagged Adoption, attachment, attachment therapy, Catholic adoption, health, mental-health by heidihesssaxton. Bookmark the permalink. Your children are blessed to have you… I enjoyed reading this post, Jen. Hugs! Thanks for sharing, Jen. You are always such an encouragement. I know from experience that it is easy to let pride get in the way. We just recently went counseling with our 4th daughter- I wish, wish, wish we had done so earlier. We had tried a few things, but I can see now that we gave up too soon. I think you are wonderful parents and I am so glad you found a therapist that you like and trust.